Make someone’s birthday surprise special in the best possible way by sending birthday flowers just in time for the big day. The experts at FloraQueen put a great amount of time and effort into the creation of each of these beautiful birthday bouquets knowing that they will be the highlight of any celebration. Each bouquet is carefully styled so that it will overjoy your recipient when they see it. With a variety of flowers such as roses, lilies and many others available you are sure to find just the right bouquet for their special day! Being away from someone special on an important day like this can be hard, but fret not, FloraQueen is here! 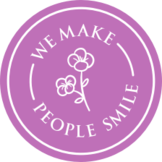 The combination of our experienced team and international delivery ensures that you will be able to bring a smile to the face of that special someone on their special day. With our vast selection of choices, you are bound to find the perfect bouquet to help them celebrate in style! 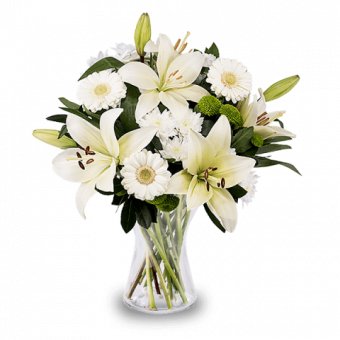 So when it comes to birthday flower delivery, choose us as your online florist. We work with florists all over the world and with FloraQueen it’s quick and easy to send birthday flowers to cities and towns in over 100 countries. Our network of expert florists help us to ensure a punctual delivery and that your loved one’s flowers will arrive looking fresh and glorious for their birthday. That is why we guarantee that our flowers will stay fresh for up to 7 days. We do more than just flowers too. If you want to make your gift more tailored to the tastes of your recipient then you can also add additional cards, wine and chocolates.